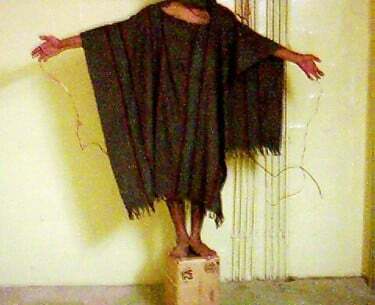 Complicity in Torture – the Truth Britain Doesn’t Want to Face. When will the UK Obey its Own Laws? With the news that an American rights group has succeeded in forcing the Pentagon to release more photos of the abuse of prisoners in Abu Ghraib, while the UK government is trying to prevent lawyers from taking them to court over the abuse that Iraqis suffered at the hands of British soldiers, it is worth revisiting the sorry history of Britain where torture is concerned. That same day Prime Minister Edward Heath made a statement to Parliament: ‘The Government, having reviewed the whole matter with great care and with reference to any future operations, have decided that the techniques… will not be used in future as an aid to interrogation… The statement I have made covers all future circumstances’ (my emphasis). Directives expressly prohibiting the use of the techniques, whether singly or in combination, were then issued to the security forces by the Government. And note Lord Parker’s judgment. Putting international law aside, no Minister or Army Directive can legally order the use of procedures that our own laws regard as illegal, and only Parliament has the power to make those procedures legal. It has never done so. But the abuse continued. In 1978 Amnesty reported on RUC abuse of prisoners at Castlereagh. Another inquiry followed, and Harry Bennett, an English circuit judge, examined ‘police procedures and practice’ in Northern Ireland. His main recommendation, installing CCTV to record interrogations, had not been implemented by the time the new Chief Constable Jack Hermon was appointed in 1980. Under Hermon the abuse decreased but within ten years – after his retirement and the UK’s ratification of the Convention on Torture, allegations of severe beatings had become common again. Also in 1978, Ireland having taken the UK to the European Court of Human Rights over the abuse of prisoners, the Court produced a judgement: that the 5 techniques, while not amounting to torture, were inhumane and degrading. In 2014, following an RTÉ documentary The Torture Files, Ireland was intending to ask for the 1978 decision to be reviewed, as the British had withheld evidence proving the level of abuse from the original case. Since the 1978 judgement, the UK has added the Human Rights Act to its body of law protecting humans from abuse. The armed forces and intelligence services should be governed by the constraints of those laws yet, following the 2003 invasion and occupation of Iraq, reports, photos and videos started to circulate showing that, along with a shocking level of abuse and violent behaviour towards detainees, the ‘five techniques’, so expressly prohibited in 1972, were back in full force, if indeed they had ever fallen out of use. In the case of Iraqi hotel worker Baha Mousa, killed while in the custody of British soldiers, only one of the soldiers involved, Corporal Donald Payne, admitted the charge of inhuman treatment of civilians, and was convicted – for that offence only. In his evidence to the Baha Mousa Inquiry he said that as a recruit in 1988 he was taught that the hooding of all prisoners was ‘Standard Operating Procedure’. Colonel Simon Wilson testified that basic training in the 1980’s permitted hooding, although he later ‘became aware that hooding was now no longer permitted.’ Captain Neil Wilson testifiedon an exercise on POW handling in 2002, he had come across soldiers hooding ‘prisoners’ as a matter of course. He was also told that sandbagging of detainees had been taught at the infantry school at Brecon. Prior to and during the invasion, troops were briefed on the fact that ‘sandbagging’ was banned. In a report he produced in October 2003 he said that by the previous February it was clear the training for handling prisoners was ‘out of date’ (rather an understatement). But despite some effort to ensure that hooding was stopped, directives arrived from much higher up the chain of command allowing the hooding of Category A prisoners. Lt General Brims said he had seen troops using blindfolds and stress positions as part of their training on how to resist enemy interrogation. He added, somewhat optimistically, that it was never suggested these techniques were to be used by the troops themselves. Captain Rogers said that hooding was permissible for security reasons, and that British forces policy covered stress positions, although he ‘couldn’t recall’ whether that instruction came in an operational order shortly before the invasion or once he was in Iraq. Although he was not pressed on this, he was stating, not implying, that they received orders to treat detainees this way. Witness SO17, a part-time instructor on Prisoner Handling and Tactical Questioning (PHTQ) courses, stated that hooding, stress positions etc. were prohibited for ‘conditioning or any other purposes’. Anything placed over the nose and mouth (as in hooding with sandbags) was also prohibited because of the dangers of restricting breathing. Blindfolds were allowed, but if none were available, the courses taught that clean sandbags could be torn into strips and used as blindfolds. Yet some witnesses, including Donald Payne, said that the TQers (Tactical Questioners) ordered that the prisoners were to be conditioned for interrogation by hooding, stress positions etc. even though interrogators’ instruction manuals barred the practice. Did they hope, as proved correct, that the soldiers handling detainees were happily ignorant of their responsibilities regarding human rights? Army lawyer Lt Colonel Nick Mercer tried to correct the situation. Witnessing the abuse of prisoners, he had repeatedly warned senior officers; had a ‘massive row’ with the commander of the Queens Dragoon Guards about the army’s legal obligations under the Conventions; had walked out of a meeting between British officials and the International Committee of the Red Cross after being told by a ‘political adviser’ to keep his mouth shut. His repeated protests about the unlawful treatment of Iraqis in British custody was so unwelcome within the Ministry of Defence that the head of its legal service threatened to report him to the Law Society. And the UK’s most senior military intelligence officer in Iraq, Lieutenant Colonel Ewan Duncan, told the inquiry that the US had been concerned that British interrogation techniques were ineffective, and asked for harsher methods to be used, even though British soldiers were already acting illegally. To sum up – hooding and other practices were banned by Lt General Brims at the beginning of April 2003, seen to be still in use in July 2003, clearly in use in September 2003 when Baha Mousa died, banned again by Lt Gen Sir John Reith in October 2003, and in May 2004 the order banning hooding was extended to other theatres in which UK forces were operating. And having put the ban in place – again – in 2004 new operating guidelines were issued, not that anyone knew what those guidelines were. The Human Rights Joint Committee tried and failed to get a copy from the government. The Intelligence and Security Committee also had trouble. The Prime Minister had promised to publish the Draft Guidance on Handling Detainees. As the ISC oversees MI5 and MI6, it repeatedly asked before finally being given a copy of the guidance. Having got one it was due to publish its findings in March 2010 but publication was delayed again after it emerged that the ISC had made significant criticisms of the guidelines. Finally in July 2010 the government published the current guidelines and one wonders what was taken out. What did the ISC object to? And although it emphasises that the United Kingdom is, was, and will forever be, against torture and cruel, inhuman or degrading treatment (CIDT), it says there is no agreed or exhaustive definition of what constitutes CIDT. Many victims of the ‘war on terror’ could tell them, in disgusting detail. So, while it gives a list of those practices that it does consider to come under CIDT, government lawyers have wriggle room to argue about any other practices that could be used. The trouble is – we’ve been here before, on more than one occasion. As the above record shows, the United Kingdom has not only been complicit in other states’ practice of torture, cruel, inhuman or degrading treatment, it has practiced these illegal actions itself. And while some of the international laws we have signed up to have not yet been enacted into domestic law, all of the practices used by British soldiers and intelligence officers in Iraq were judged, by Lord Parker in 1972, to be illegal, and punishable, under British law. Yet they went on being used, unpunished and, despite the fine words in support of humanitarian law, may still be in use. Somewhere. Out of sight. So when will the United Kingdom obey its own laws?